This graduate course is positioned at the intersection of education, popular culture, and youth experiences. It explores questions concerning the social construction of youth, parents, and teachers; knowledge and power in schools and in media; representations of social identities; and access to particular media and technologies within social spaces. 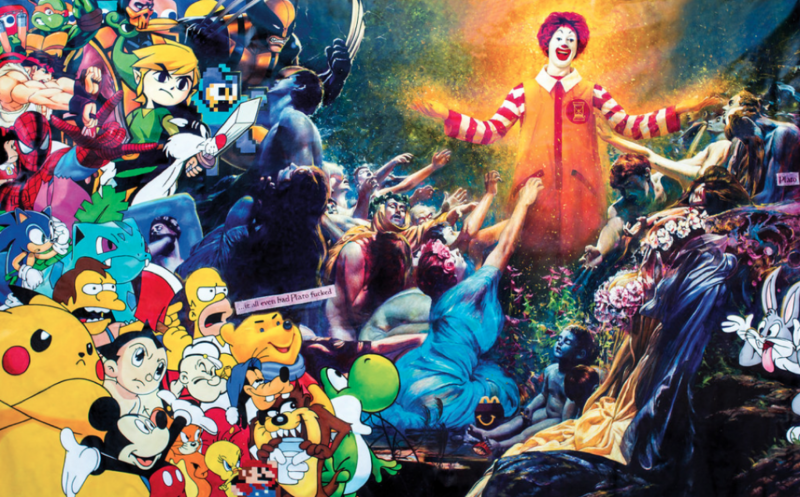 Students use theoretical and research texts to critically analyze popular media, including films, digital media (including games and music), and television shows. Inquiry will explore the complex relationships between identity, performance, representation, consumption, power, knowledge, authority, and culture with the objective of with how schools can incorporate media and popular culture in ways that contribute to student success. University of Ontario Institute of Technology. Matt Ratto and Megan Boler, Eds. DIY Citizenship. Cambridge: MIT, 2014. Hc, Pb, or Kindle. Additional readings may be assigned or recommended during the course. Students should use APA style (https://owl.english.purdue.edu/owl/section/2/10/). Sept 13 | Week 1: Why Popular Culture? Reading: David Wong and Danah Hendricksen, “If Ideas WERE Fashion.” Mirror Images. Diana Silberman-Keller et al, Eds. Pp. 179-198. Reading: Virginia Funes. “Advertising and Consumerism: A Space for Pedagogical Practice,” Mirror Images. Pp. 159-177. Reading: Robert Saunders. “Imperial Imaginaries: Employing Science Fiction to Talk About Geopolitics.” Popular Culture and World Politics: Theories, Methods, and Pedagogies. Caso and Hamilton, Eds. Pp. 149-159. Readings: Henry Jenkins. “Fan Activism as Participatory Politics: The Case of the Harry Potter Alliance.” DIY Citizenship. Eds. Matt Ratto and Megan Boler. Cambridge: MIT, 2015. pp. 65-73. Recommended further reading: Robert Kirkman and Tony Moore. The Walking Dead #1: Special Edition. Berkeley, CA: Image Comics. (May 2008). Comic book. Reading: Emery Petchauer, “Starting With Style: Toward a Second Wave of Hip-Hop Education Research and Practice,” Urban Education 2015, Vol. 50(1), pp. 78–105. Readings: Mandy Rose. “Making Publics: Documentary as Do-it-with-Others Citizenship.” DIY Citizenship. Pp. 201-212. • Deborah A. Fields. “DIY Media Creation.” Journal of Adolescent & Adult Literacy 58(1), (Sept 2014). Pp 19-24. • Suzanne de Castell. “Mirror Images: Avatar Aesthetics & Self-Representation in Digital Games.” DIY Citizenship. Pp. 213-221. • Alison Happel-Parkins and Jennifer Esposito. “Using Popular Culture Texts in the Classroom to Interrogate Issues of Gender Transgression Related Bullying.” Educational Studies 51(1) (2015). Pp. 3–16. Reading: Kurt Squire. “Critical Education in an Interactive Age,” Mirror Images. Pp. 105-123. Reading: Saara Särmä. “Collage: An Art-inspired Methodology for Studying Laughter in World Politics.” Caso and Hamilton, Eds. pp. 110-119.